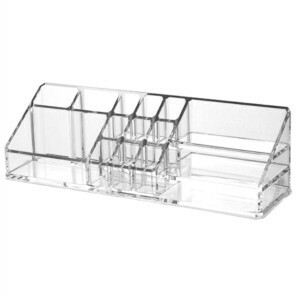 Great host gift! 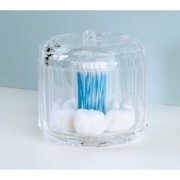 This attractive holder keeps your cotton balls and Q-Tips neatly organized and accessible. Q-Tips are placed in the centre cylinder with the cotton balls around it. 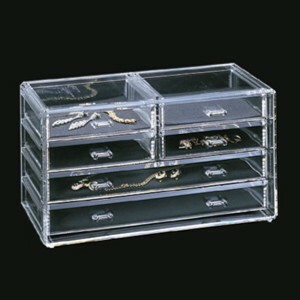 The clear acrylic construction with bevelled edges allows you to easily see its contents…and it looks great on the vanity too! 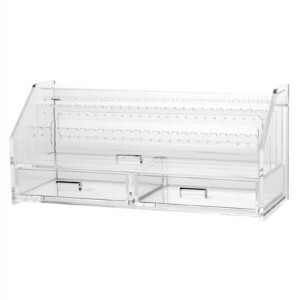 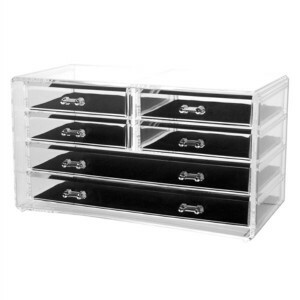 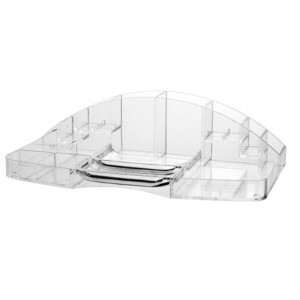 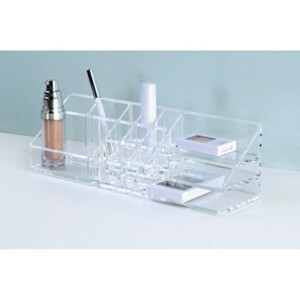 Made of durable and sturdy acrylic, this clear organizer allows you to neatly organize your cosmetics so you can easily see, and quickly find exactly what you need. 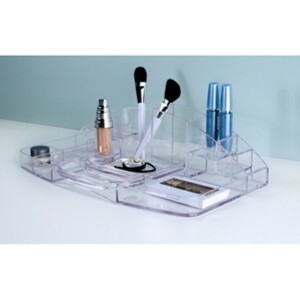 Organize your everyday cosmetics neatly on the countertop or vanity with this great looking cosmetic organizer. 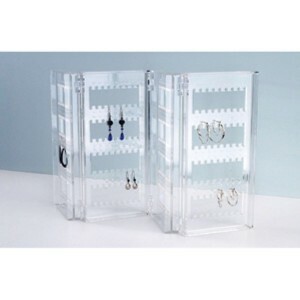 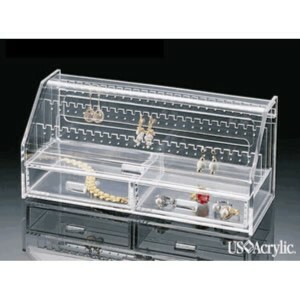 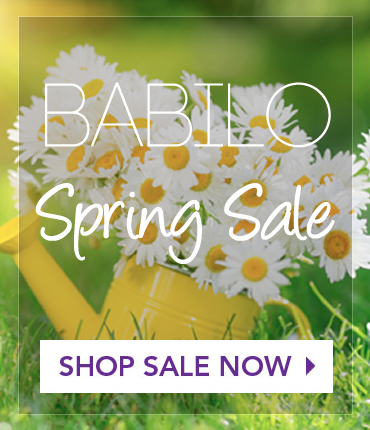 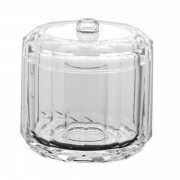 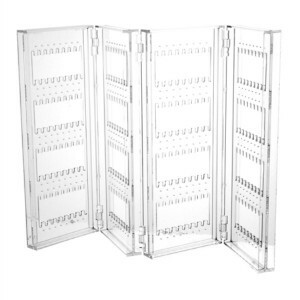 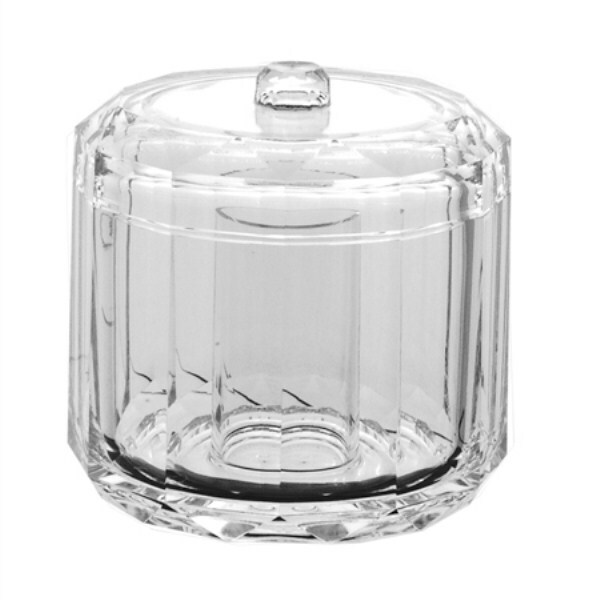 Made of clear, sturdy acrylic, it allows you to easily see and access what you have. 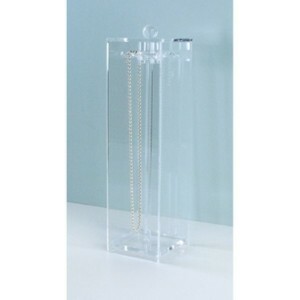 Keep your necklaces tangle free and easily accessible. 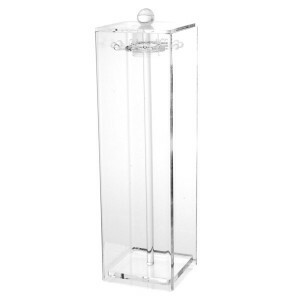 This clear, strong acrylic necklace keeper allows you to see exactly what you have.